The first trailer for Fox’s new series Gotham has arrived, and it sets the stage for a full-on Batman prequel. All the players are here; they’re just a little younger. The trailer does a good job of establishing the world while also making it pretty clear for newcomers that this is taking place neck-deep in the Batman universe. We get a feel for the grittiness and tone, and it seems to be a good fit for the subject matter. The network has ordered "at least" 13 episodes, which means if it does well it could score a back-nine pickup. We also get a look at young Bruce Wayne, along with the iconic murder of his parents. We apparently won't have to wait long for that one, and from how it looks, that mugging is the catalyst for much of the series (which makes sense). 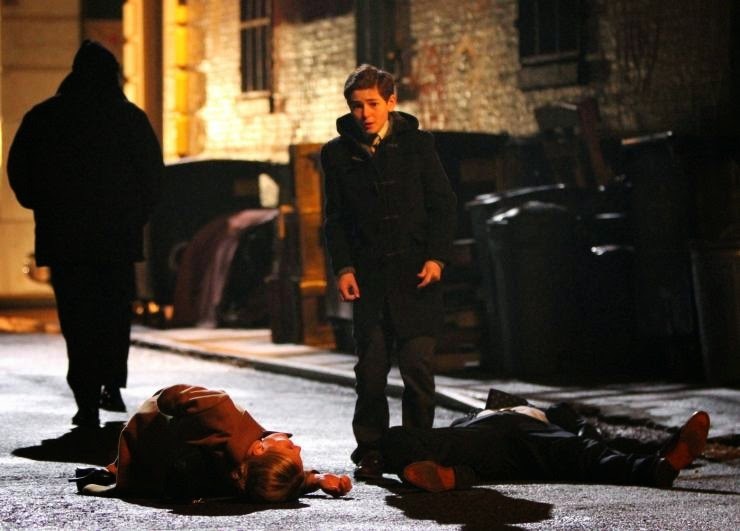 The trailer shows what appears to be Gordon and Wayne’s first meeting, as the young detective vows to bring the killer to justice. Jada Pinkett Smith's mobster Fish Mooney also has a nice, creepy vibe. We can't wait to see more of her. Honestly, it all looks sharp — which is a good sign, considering that this show is going to have to be extremely compelling to make us not want Batman to show up every week.